Strip footings, raft foundations and underpinning of existing structures. Located in Southery, near Downham Market, Anthony-Johnson is a Multi-Disciplinary Engineering Consultancy, providing Civil, Sturctural and Environmental Design and Analysis Services in North Cambridgeshire, Lincolnshire and West Norfolk. Anthony-Johnson provides a range of Engineering Services, covering the Civil and Structural Sector. The Practice engages in CDM, Structural design, Geotechnical Surveys, Property Surveys and assesments and provides services to Homeowners and Businesses alike. The Practice has extensive experience in Historic buildings conservation & design. A historic area of England, the East coast around the Wash envelops many structures that were built before the inception of Building Act of 1878. As such, any design work should be considered from a sympathetic stand-point so as to avoid deterioration to the fabric of the existing structure. 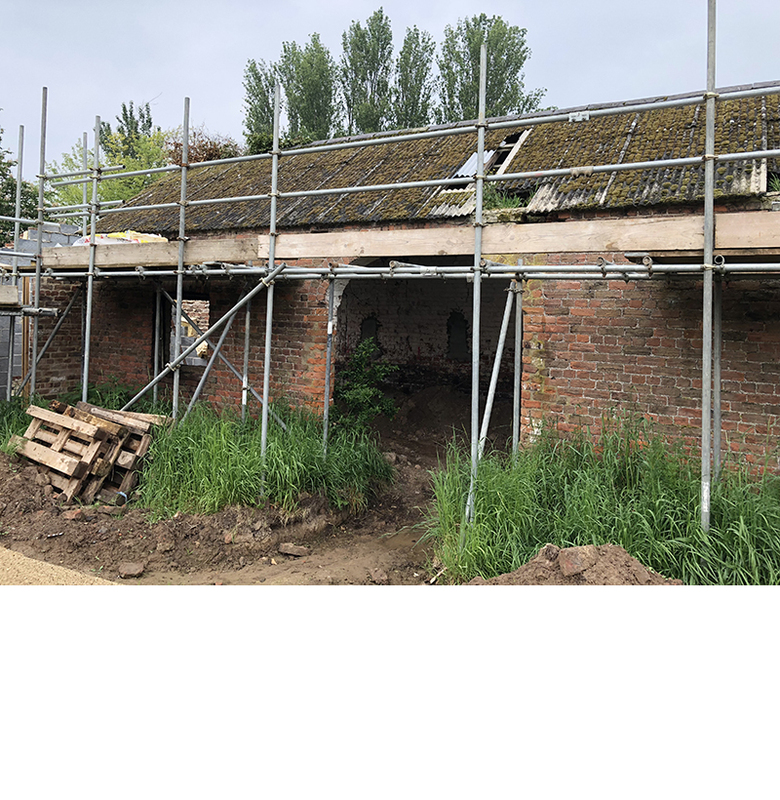 Anthony-Johnson provides a range of services aimed at the assesment, conservation and restoration of Historic buildings in the most sympathetic manner possible. These include Site investigations, structural design and specifications. Design of Steel, Timber and Masonry Structures and Structural Members. Design using Concrete. Foundation design including Pad, Raft and Strip footings. 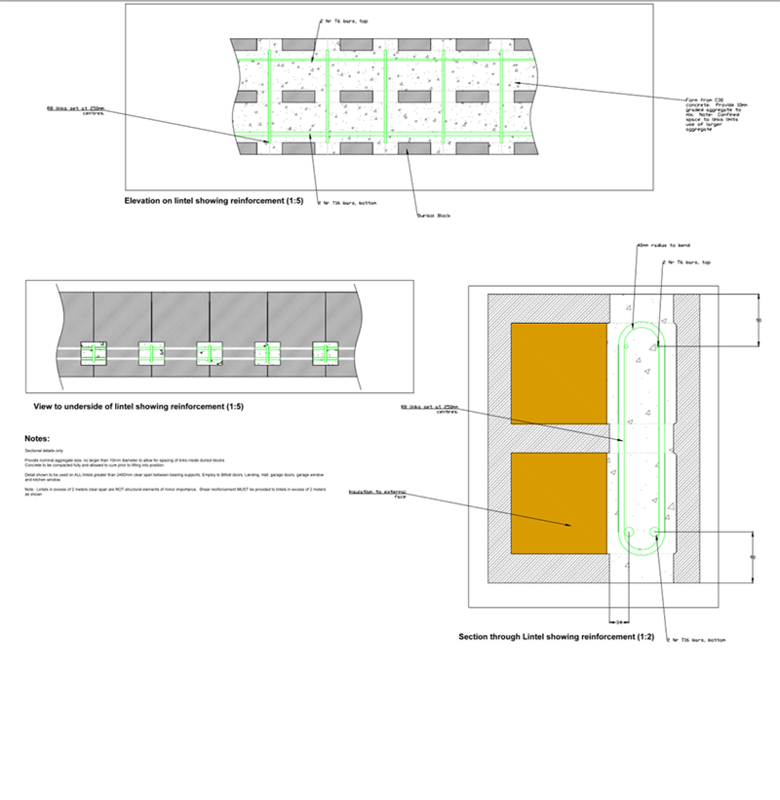 Design of retaining walls and soak-aways. Anthony-Johnson provides condition surveys of entire residential and commercial structures, assesing the fabric of a building, areas of deterioration and conditions that may lead to future defects. Our reports can be used to put in place a system of rememdial measures or works to rectify defects and prevent future deterioration. Materials and techniques used in the construction of buildings before the Building Act of 1878 differ considerably from those used in modern buildings. Historic buildings may lack substantial foundations, have no damp proof course and rely on the use of "floating timber" floors, raised above "dirt" by no more than two feet. Applying modern building techniques and materials to such structures can inadventatly introduce rapid decay to the fabric of the building. Our understanding of such historic building practices allows us to investigate and assess such buildings, avoiding the confusion of modern building regulations. Core services include Structural Engineering, Civil Engineering, Geotechnics, Site Management, Project Management, Resource Management, Health and Safety and Structural Investigation. Tanfield-Johnson provides specifications, surveys and reports as well as CDM support. CDM Design Briefs & Pre-tender Packs. Timber Design: Rafters, floor joists, Glulam Portal Frames, Structural Stud Walls. Steel Members: Opening up works, portal frames, columns and beams. 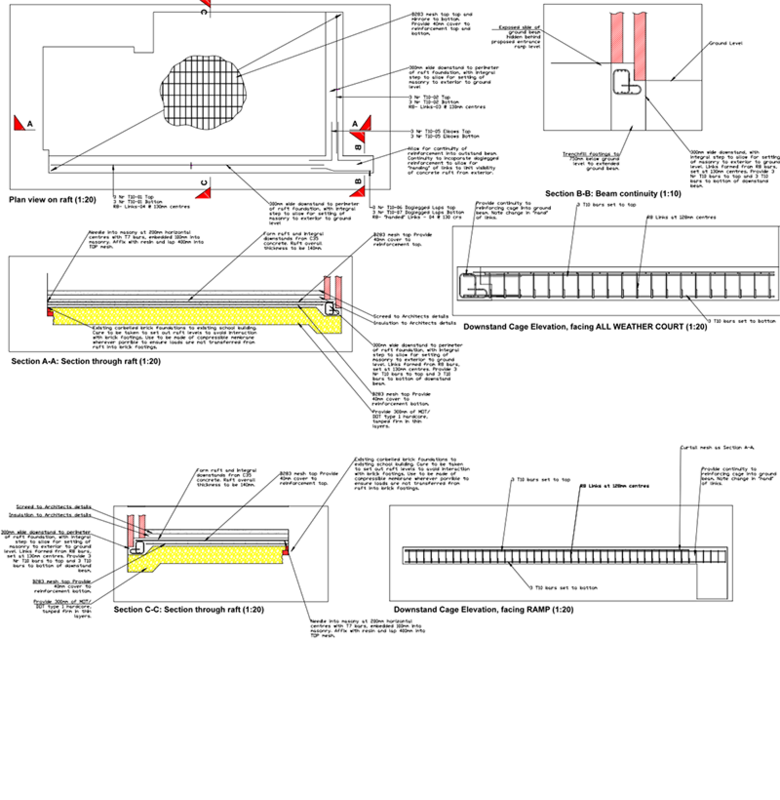 Masonry Design: Masonry wall panels, Windposts, Bearing Stress analysis. Foundation Design: Design of Strip Footings and Raft Foundations. We provide Site Waste Management Plans, Environmental Audits, Assistance with preparation of an EMS, Waste Audits, Pricing and Brokering Services, Permitting Applications and assistance with Environmental Enforcement matters occuring under the "Duty of Care". Our experience allows us to act as the "Competent Person", developing, delivering and deploying Health and Safety plans to the construction phase of a project. These include development in lieu of the Six Pack, fire risk assesments, employee safety, site safety training and construction phase planning. Having been Engaged by a Self Builder and working alongside the Architect, Anthony-Johnson carried out Geotechnical Surveys, produced foundation designs, lintel designs and steel frame designs to allow the construction of a house formed entirely from Durisol Blocks. These insulating blocks are formed from Hemp, pre-cast with cement binder and allow for an almost Lego Like construction of new structures. Turn the blocks on their side, add reinforcement and concrete to make lintels. Building an extension can appear a daunting task. Anthony-Johnson was engaged by a Primary School to conduct a geotechnical survcey and design foundations for an extension to a traditionally built School. The presence of Corbelled Brick footings to the original building meant that a raft foundation had to be used. Architectural details added complexity to the Raft, which had to take into account a retained masonry pier, protruding side wall and infill beam support. Here's a rundown of the projects currently being worked on by the Practice. From structural designs to understanding why a house is moving, The practice aims to discern Engineered solutions.